Most modern organizations are experiencing an expansion in the number and diversity of managed endpoints, and also seeing visible changes across their workforces in the way users are interacting with technology. With the line between personal computers and mobile devices continuing to blur—and the number of non-traditional endpoints growing—implementing an endpoint management solution that can automate, regulate, and simplify the management of both your hardware and software is necessary. 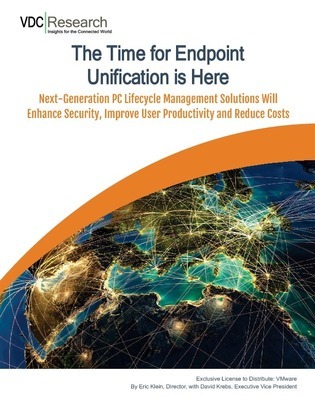 This white paper will explain how unified endpoint management (UEM) platforms have evolved to become more flexible while enabling comprehensive support for both PC and mobile devices from a single console interface. It will also explain the challenges and barriers companies face as they modernize their end user computing (EUC) environments.